Thanks to the Reserve Bank of India (RBI) governor’s intervention last year, the Indian banking system’s woes are, finally, understood well. At the end of FY16, ~17% of public sector banks' (PSBs) assets are stressed. Again, if we optimistically assume that only a third of these assets will be written off, that would imply that ~50% of the shareholders’ equity of PSBs will be written off by the end of FY18. Based on FY16-end numbers (i.e. without assuming any incremental equity requirement for PSBs to fund future loan book growth), that would imply that the PSBs need $30 billion (equivalent to nearly 1.5% of our GDP) equity infusion over FY17 and FY18. Such a figure compares to the $4 billion budgeted by finance minister Arun Jaitley for infusion into PSBs in FY17 and the $7 billion promised by the finance ministry for PSBs over FY17-19. In short, it is highly unlikely that the government will be able to find the resources required to recapitalise the ailing PSBs. Capital aside, the PSBs – with a few notable exceptions such as State Bank of India, Bank of Baroda and Union Bank of India – also have major deficits with regards to their IT systems and with regard to their access to managerial talent. Even if the capital was forthcoming, the technology and the talent would still be unresolved issues hampering the PSBs’ road to a highly unlikely recovery. So, why does this matter? In a country full of deficits, why are we bothered about yet another deficit? Until a decade ago, the PSBs used to account for nearly 90% of loans outstanding in India. After steadily losing market share to the private sector, the PSBs now account for 70% of loans disbursed. Hence, even if we assume that only the bottom half of the PSBs (“bottom” from an asset quality perspective) run aground, that still accounts for nearly 40% of loans outstanding in the country. As we wheel these bottom-half PSBs into the intensive care unit, we still don’t know who or which institution will replace these PSBs in the humdrum but important job of disbursing credit to millions of Indian citizens and hundreds of thousands of small and medium enterprises (SMEs). The rollout of Aadhaar since 2010 has meant that now nearly a billion Indians have unique identification numbers along with biometric identity proof. The rollout of Jan Dhan from August 2014 has resulted in 219 million bank accounts being created and now more than 95% of Indian families have at least one bank account. The launch of the Unified Payments Interface (UPI) by the National Payments Corporation of India (NPCI) and the RBI in April 2016 has meant that there is now a publicly available payment “bridge” between all Indian individuals and firms. If the trials being conducted on the UPI are successful, then it will be the first such bridge of its form in the world, where a modern and sophisticated mode of instantaneous payments through any bank (or any payment service provider) using smartphones has been developed through regulatory push for industry-wide application. Big data based lending: Rapid technological advances made in analytics are changing the way lending is being done. In China, Alibaba’s financial arm, Ant Financial, in a short duration has scaled up a range of financial products varying from online payments to lending to credit scoring. Carved out in 2011, Ant Financial and its flagship product, Alipay, command more than 82% share in China’s online payment market. This, combined with other services such as wealth management, provides Ant Financial access to rich data (shopping history, utility bills, work and home addresses, property, family links, etc.). Analytics on this data has enabled Ant’s lending business to cater to small businesses which were previously neglected by the banks due to sub-par credit scores. Among the online marketplaces in India, Flipkart, Snapdeal and Amazon have begun offering working capital loans to their merchants using merchants’ selling patterns, ratings, customer feedback and social media profile for credit scoring. Liability side innovation: Using the UPI-NPCI bridge, the payment banks and the small finance banks licensed by the RBI in 2015 can extend their reach into the wallets of the 300 million Indians who receive subsidy payments from the government. Using mobile phones, rather than branches, these new types of banks can hoover up the savings of not just the currently financially excluded constituency but also of salaried middle class workers who at present receive sub-par interest rates from their banks. Such savings account portability will become easy if employers pay salaries to employees’ Aadhaar numbers from where UPI-NPCI directs the payment to the account chosen by the employee. In effect, the UPI will make the money in savings accounts fungible between accounts. The payment bridge will make the account itself portable. Thus, if a new upstart bank offers better savings rates, employees can individually map their Aadhaar numbers to the new bank’s accounts (rather than waiting for the employer to make the decision for the entire company). If one keeps in mind that accounts with less than Rs1 lakh of savings account for 80% of the corpus deposited in savings accounts in India, the scale and scope of the disruption becomes evident. We haven’t yet seen any one bank in India nail down the technology on both the asset and the liability side. In part, this is a function of regulation because the payment banks have been focused by the RBI on the liability side whereas the small finance banks – with their microfinance origins – have a greater asset-side orientation. The scope for IT glitches, especially on the liability side, is considerable and with the savings of millions of low income people on the line, there is scope for heavy political interference. The RBI has historically been a conservative institution with a focus on preserving the status quo. Raghuram Rajan has been a breath of fresh air in this regard, but is the rest of the RBI behind him? The PSBs are so enfeebled at present that in FY16 their loan books grew by a mere 1%, thus depriving SMEs of much needed funding. The alternative banking system has barely taken shape. It is not clear, therefore, how India will swim through the timing gap between the exit of the weaker PSBs and the rise of the alternative banking system. For the first time, there is a ray of hope that in the aftermath of the PSBs’ evisceration we will create a more efficient and more effective banking system with a new generation of banks in India. It is important that in our haste to clean up the current mess we do not suffocate our nascent alternative banking construct. 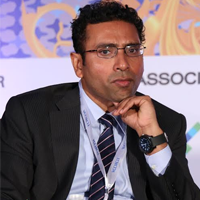 Saurabh Mukherjea is CEO (Institutional Equities), Ambit Capital. Penguin will shortly be publishing his next book, “The Unusual Billionaires”.